Where on earth did this garish tradition begin? 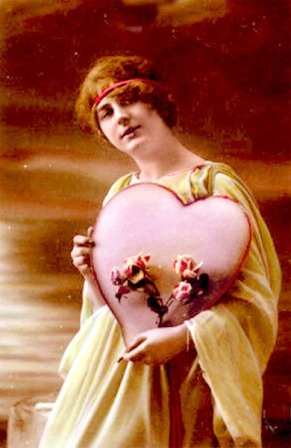 Valentine’s Day: a superficial and commercial enterprise that should be written off as a ridiculous affair, or so they cry down the Old Cynic Road. Some of us simply don’t care for the day at all; it’s overrated and anti-climactic at best. I am a cynic of this kind. However, I can’t help but hope that someone – be it a friend, a partner, or a romantic interest – will surprise me with a gift, a cheeky letter or do something nice for me on the day. Consider: attaching a lighthearted note to a small gift and giving it to the person you have an eye on just in case no one else sees them for the cute person they are. This is not too serious so if your feelings aren’t returned it’s no biggie. Avoid: large amounts of the sauce if you are going on a night out this Friday. You do not want to vomit all over your friends or worse, your date. I am not evangelising about the benefits of sober nights – oh, because I know I would definitely be boozing away if I could – but lots of alcohol may impair your ability to resist the urge to travel back home with a young Casanova you have just met pon de floor (big up and shout out to my man Major Lazer). There is no shame in such a thing but finding yourself next to a stranger on Saturday morning, with your contacts embedded into your eyes and last night’s makeup smeared across your face, is decidedly unromantic. Give them your number instead, if you must, and meet up when sober. Safety first. Consider: the absolute unattractiveness of complaining about the lonely, single life, which is not always so lonely anyway. Resist the impulse to post a picture of an ageing old lady submerged by hundred upon hundreds of cats on your facebook, and captioning it: ‘This is me’. Likewise, do not eat an entire jar of Nutella for dinner. If you have the heavy boots due to having no one to spend the day with – friends or otherwise – do something nice for your colleagues or your family. Surprise them with something like cupcakes, for cupcakes save lives and are delicious. Avoid: I was once in the early days of dating someone and they turned up with an ostentatious bunch of roses and a letter of undying love worthy of all the Mr Darcys put together. Absolute cringe. Read: ‘You must allow me to tell you how ardently I admire and love you’. It is fair to say that my young and inexperienced soul was overwhelmed and I managed to extricate myself from the situation by running out of sight. Not a smooth move by any means but the lesson here is to keep it simple and to not put too much pressure on your date. Don’t get too worked up about it. Best avoid those stiff dinner and movie dates too. For those of you in a loving relationship, try not to give your partner a hard time if they don’t go all out with flowers and champagne. Maybe Valentine’s Day is not their thing. But if they know it means a lot to you and still they do nothing, do not despair! It is harmful to attach too much meaning to the day, especially if they are a loving, caring person every other day of the year. Oh, how cute. Of course, none of this may be on your agenda. You may be content exactly as you are. If this is you, maybe a good book and a mojito will do. But keep the lacy red dresses, mass-produced teddy bears and Valentine’s Day chocolates away. They are reserved only for the sickly sweet. This entry was posted in Featured and tagged featured, love, Opinion, single women, valentine's day. Bookmark the permalink.